Fire Emblem went from being an obscure franchise to one of Nintendo’s tops after the 3DS games which it’s mostly attributed to the Waifus. 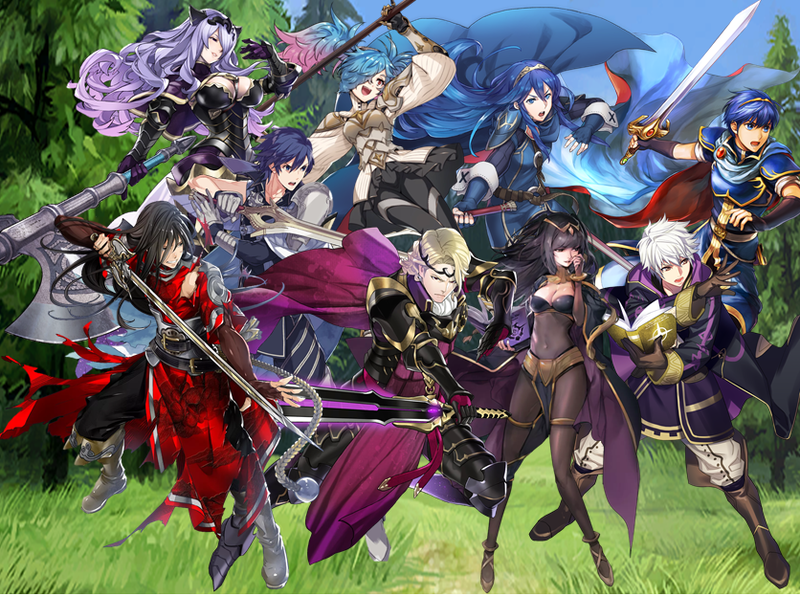 The characters popularity in Super Smash Bros. Melee led to some Fire Emblems getting released here to some success until they added the secret ingredient of waifus which lead to one of Nintendo’s first mobile games being about Fire Emblem. And well the game is full of Waifus and Husbandos, but here are some of the problems with the game. The game which is a strategy game with some RPG elements, but the strategies in most of the fields is rather basic. What sets this game apart from Advance Wars is the storyline, and here the characters are too chatty, you can’t get them to shut up. The game does rank up in difficulty at other difficulty levels and require a lot of grinding or to pay for the upgrades you need. Even if you are the best strategic player, you won’t be able to finish off some of the levels without paying up or grinding. That’s not the biggest problem, it’s just that there isn’t as much strategy as you’d expect form this type of game. I will give them this, they do add a lot of updates with new characters, levels and stuff to do. After finishing the first game as it was released they have since added a lot of other levels and other things to do. In fact they added so many things to do that I’ve lost track. I stopped playing it for a while and a bunch of new modes were added which aren’t quite clear to me. I’m just apathetic to playing them as I don’t see enough reward. I do love it when they have summer or halloween events, even if I can’t usually get the special characters. 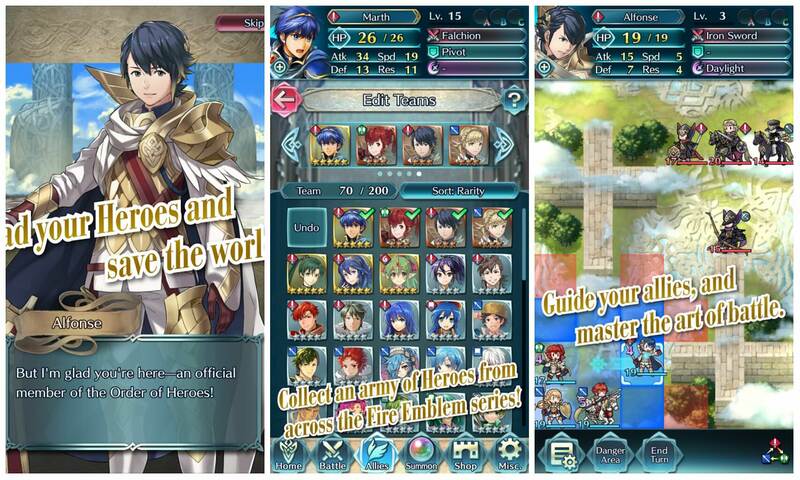 Being a free to play mobile game it relies on “gacha” which are the gachapon style games that in order to get your favorite characters from the games. 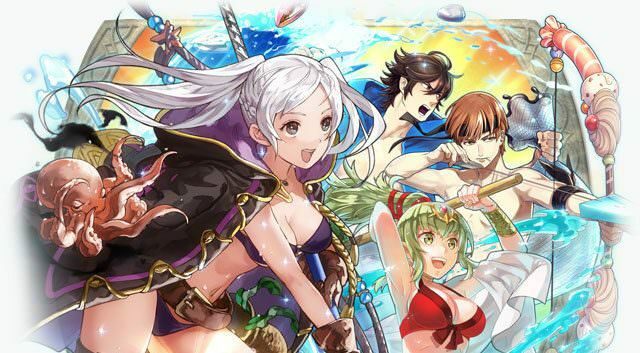 I’ve been able to get a lot of my favorite characters just from the free orbs they give you, though of course there are many that I would like. Since it’s a random chance I would never pay to just get a chance to maybe win a certain character as nothing guarantees it and getting doubles, triples etc. 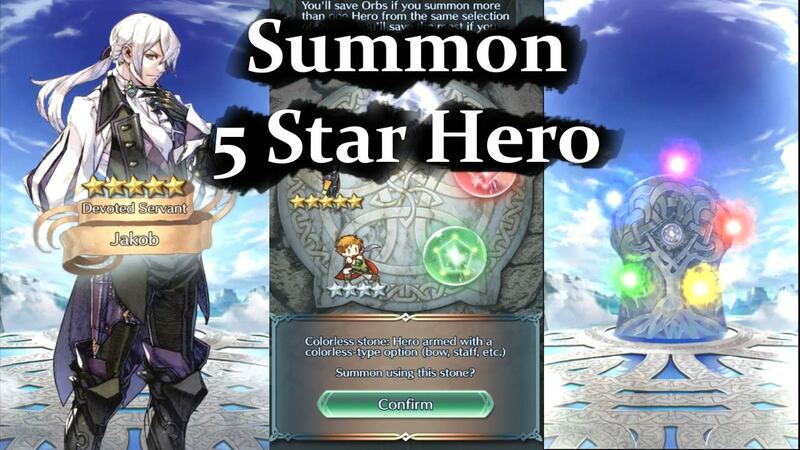 with free orbs is already frustrating it can only be more if you actually payed for then. There are other “currencies” in the game but they’re not as relevant, at least not the ones I was familiar with. 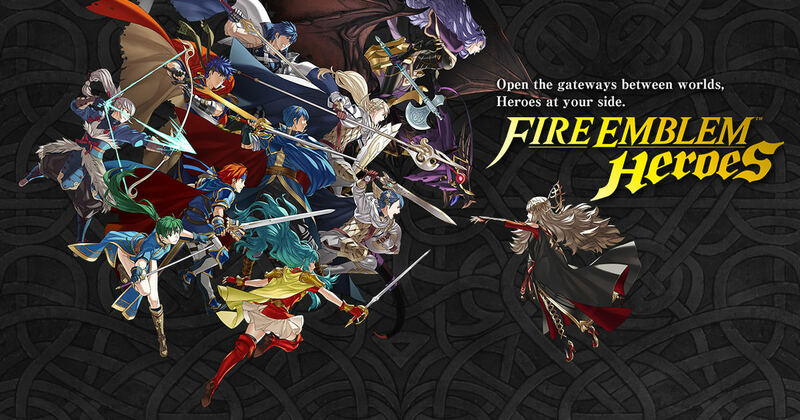 As someone who has never gotten into the series, this was my first immersion into the game and sadly it didn’t excite me enough to actually buy a Fire Emblem game. I love other strategy games like Advance Wars but I feel all of that charm is lost here, the story isn’t good, the gameplay is also not on par and there are too many things in the game that rely on luck in this mobile game. I’ve had fun with it, it’s just doesn’t make me want to actually spend more time on this game or any other in the series.